This is it friends, my final book review of the year and the final post for my 2014 To Be Read Pile Challenge. I’m super happy that I have been able to complete this challenge. I’m also happy that challenge rules allow for two alternates because I used both of mine. For several years I have adopted the habit and pleasure of reading Christmas books during the holiday season. 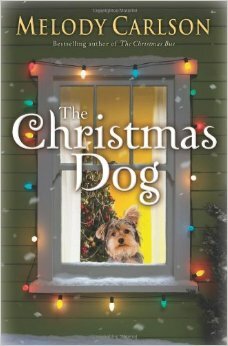 Melody Carlson always has something for me to choose from and I often give her Christmas books as a gifts. I don’t have access to the Hallmark channel so her books contribute to my sentimental, Hallmark, Christmassy fix. There is another story line involving her step-granddaughter who is estranged from the family. Avery is a twenty something, free spirit who has made some poor choices but is ready to grow up. Overall, I’m glad I read this one. I’ve had it for a couple of years and strategically placed it on my TBR Pile Challenge because I thought I might need a light read towards the end to finish my goal, AND I knew I’d want to read a Christmas book as well. Win-Win. And while I’m on the subject, allow me to make a few recommendations. This is one of the posts that floated around my head this season that never made it to the laptop keyboard. This one is a long one. It has a very Narnia-ish feel to it minus the spiritual connotations. If you like fantasy and mythological creatures and curses and such, read this one. It’s excellent. And there are some gorgeous drawings for illustrations. Tragedy, mystery and mistaken identity. This novella seems geared to the middle and high school reader but adults would enjoy it as well.. Lindsay and I read this for the Mother-Daughter book club we were in years ago. A cute story about a young couple expecting their first baby. They roll their hippy-style bus into Christmas Village and everything goes topsy-turvy. It’s predictable but so delightful. And while I’m at it, and late anyway, here are my Top Five favorite Christmas movies. You’re welcome for all that. I’m late to so much these days, let me be more timely in wishing you a Happy New Year and happy reading! Congrats on finishing the challenge! I didn’t make mine – fell three books short, one a Chunkster. But I did get to read so many TBRs I’d out off for so long. Thanks!! I finished three challenges this year. Yea, I’ve noticed it gives certain email carriers trouble. My husband and daughter both have trouble commenting with yahoo emails.